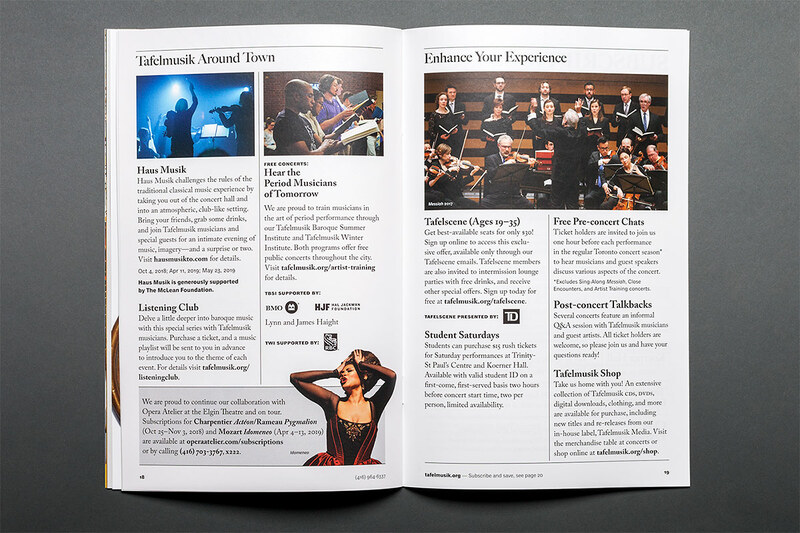 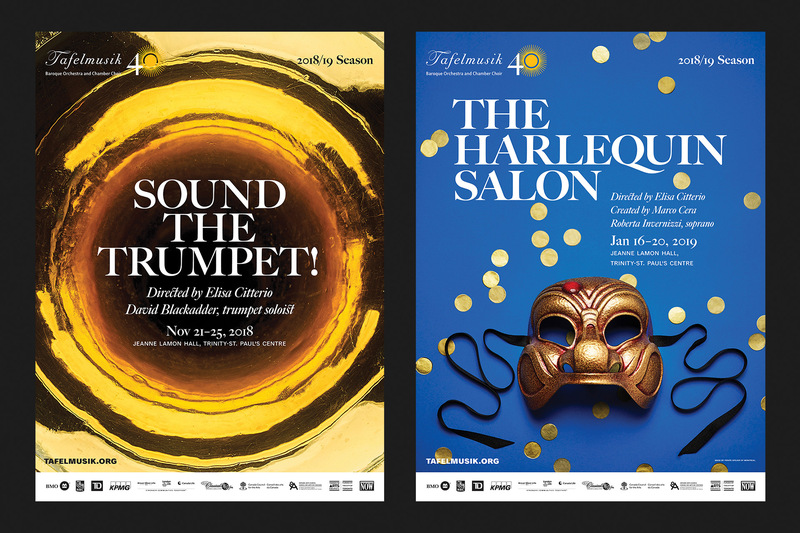 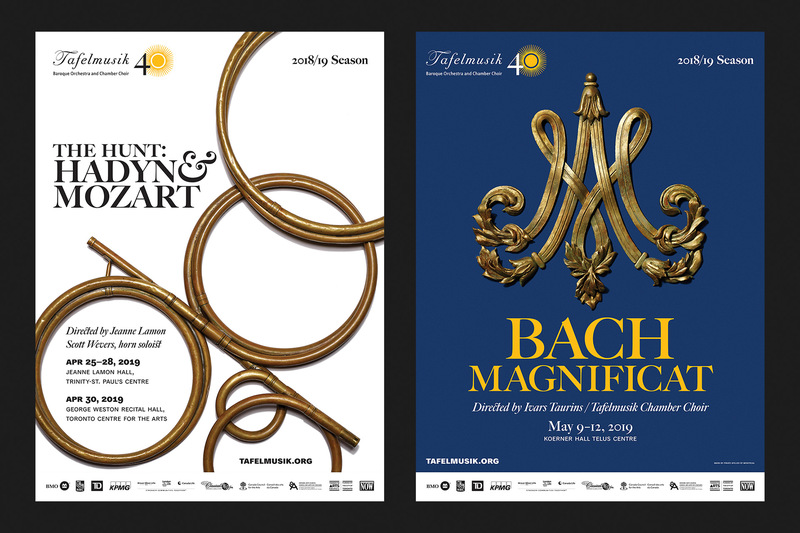 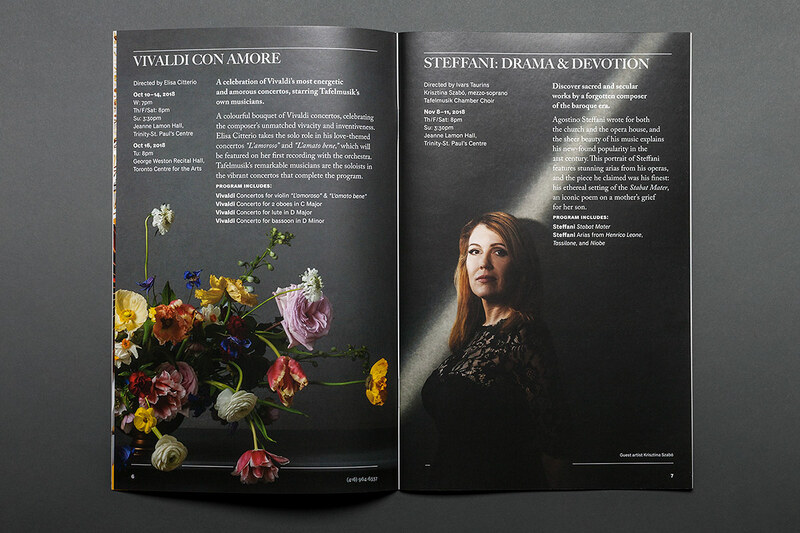 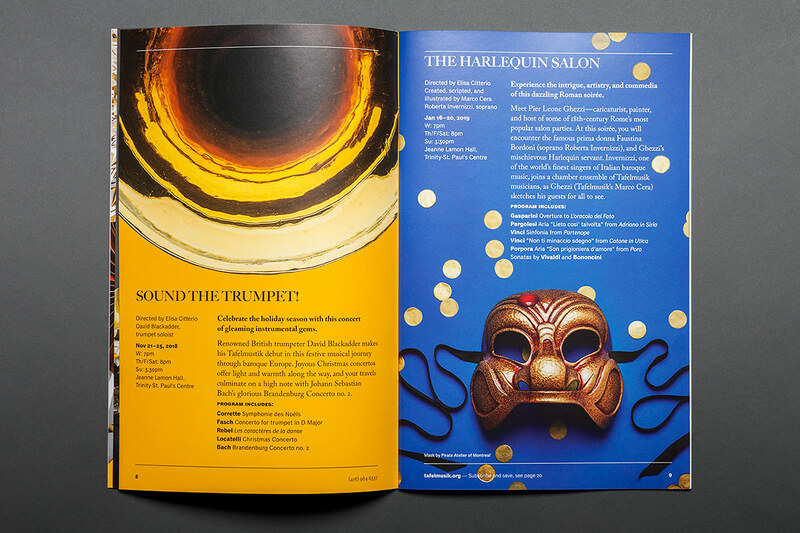 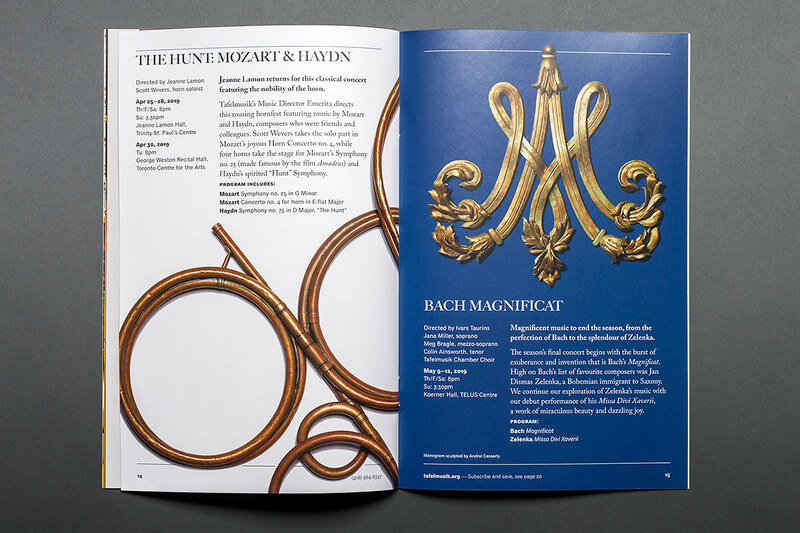 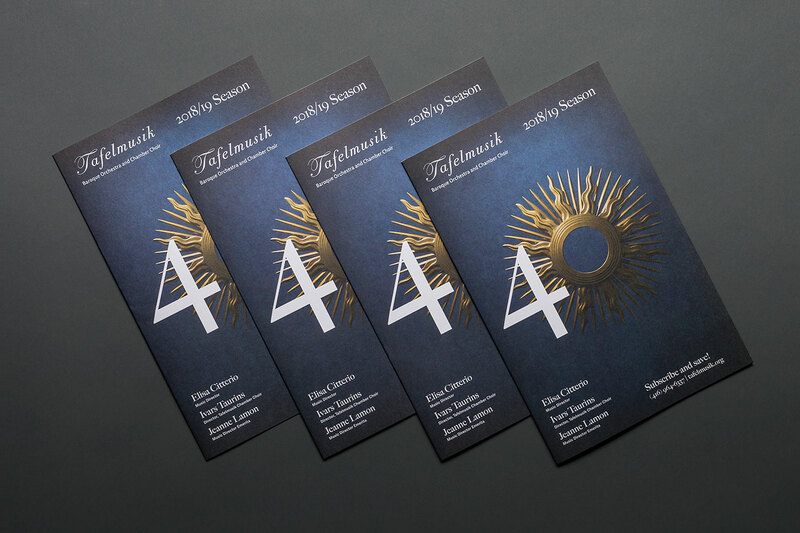 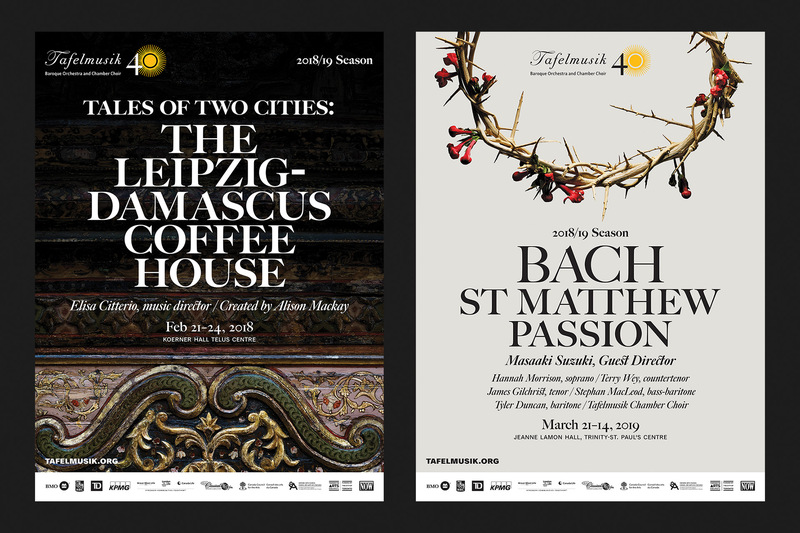 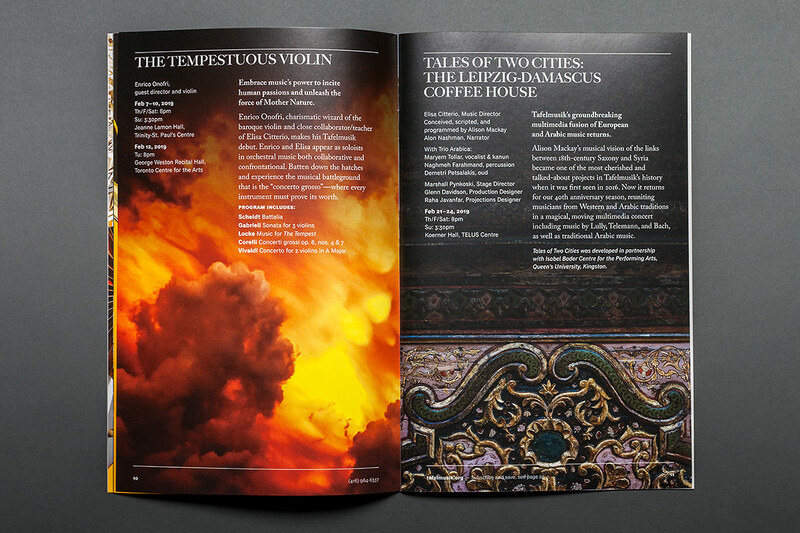 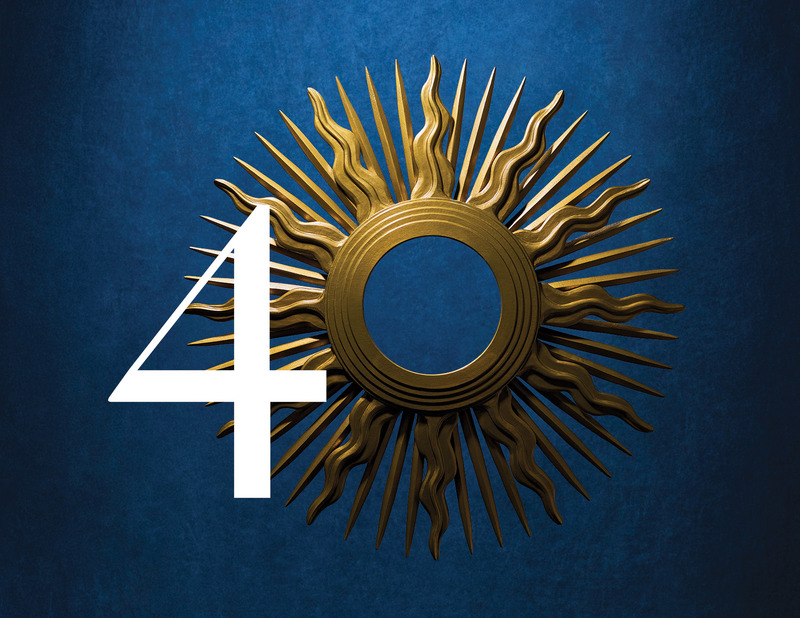 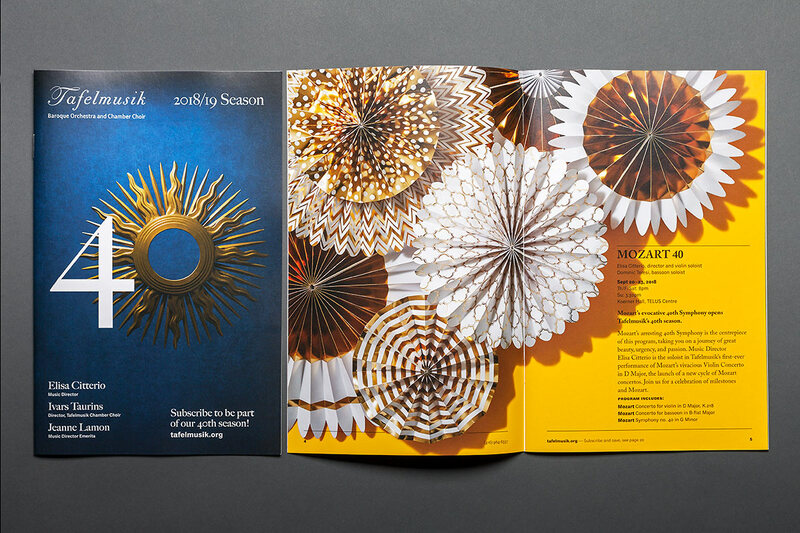 Acme was commissioned to design the creative campaign for Tafelmusik Baroque Orchestra’s 40th Anniversary 2018/19 season—including a graphic identity for the season and creative imagery for 11 concerts. 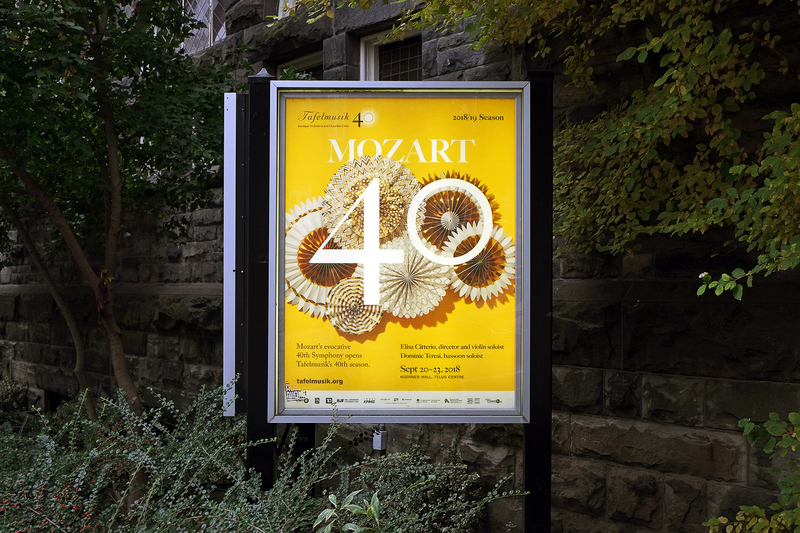 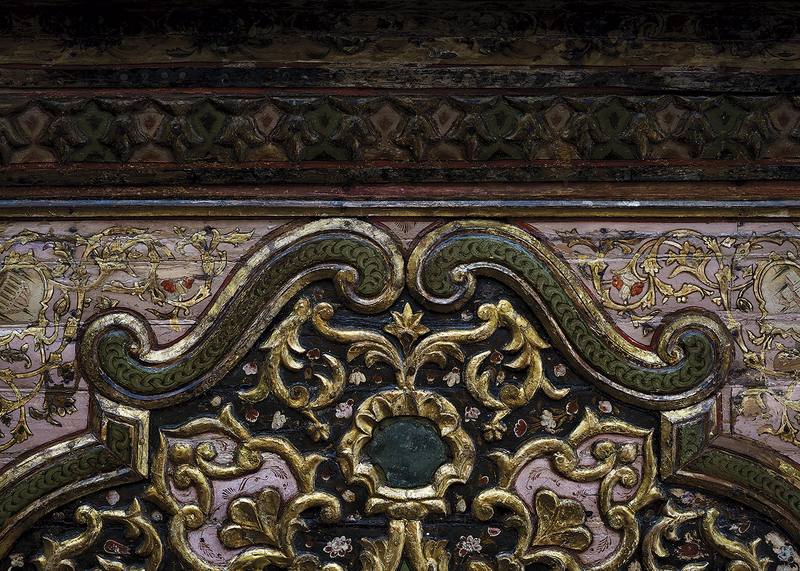 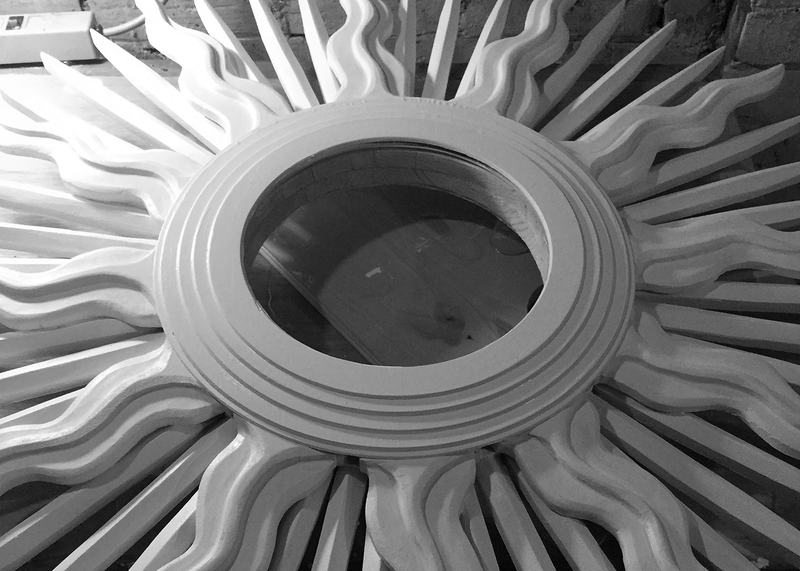 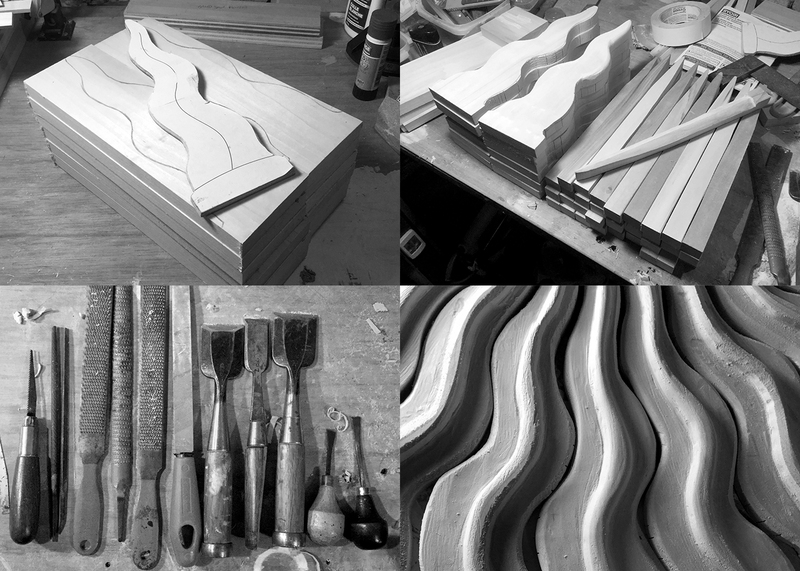 The photo-based design includes a “40th” hero image featuring a baroque sunburst based on historical designs and hand-built by Acme with chisels, rasps, and rifflers. 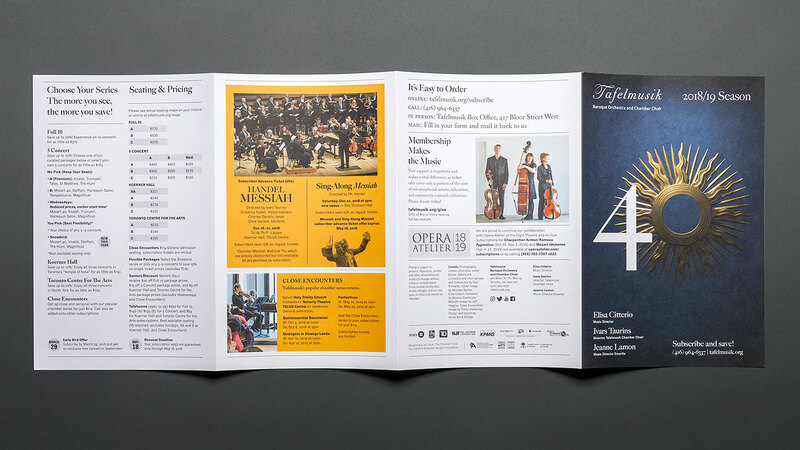 In addition, Acme handled all art direction and photography for the concert images in-house and designed brochures for the season, postcards, posters, print ads, and signage. 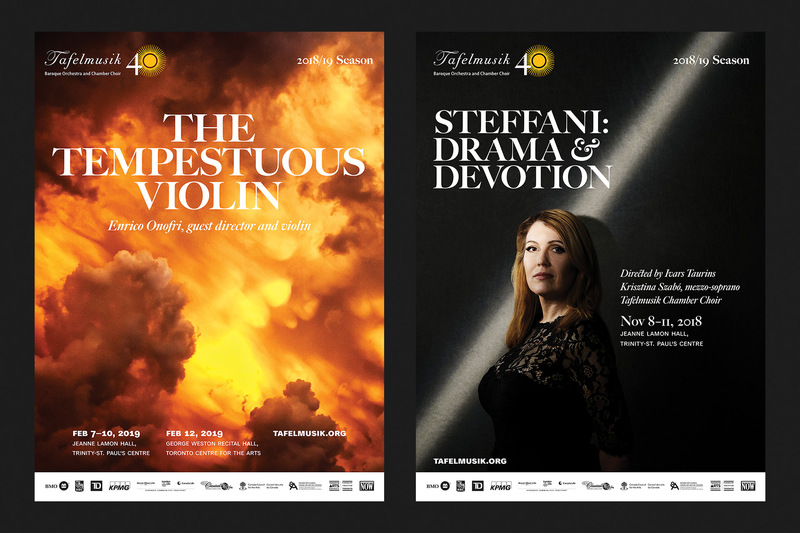 Additional credits: Tafelmusik orchestra and choir group and individual photos by Sian Richards. 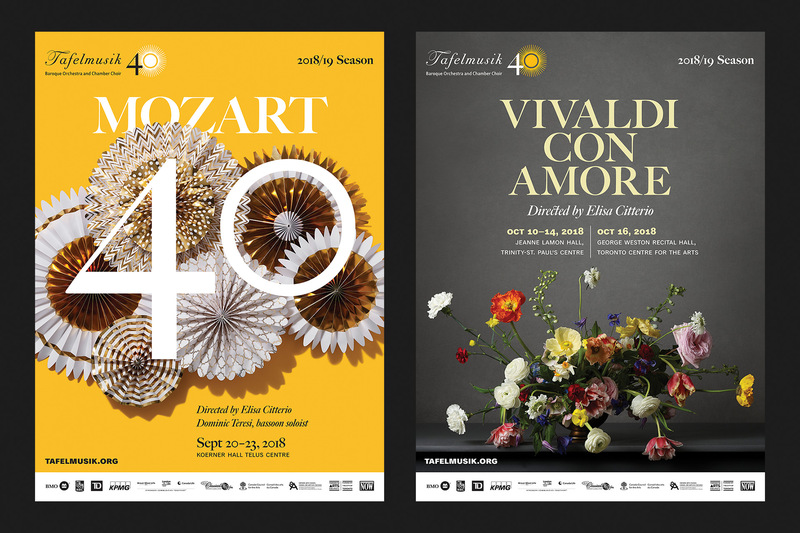 Tales of Two Cities and Opera Atelier images by Bruce Zinger. 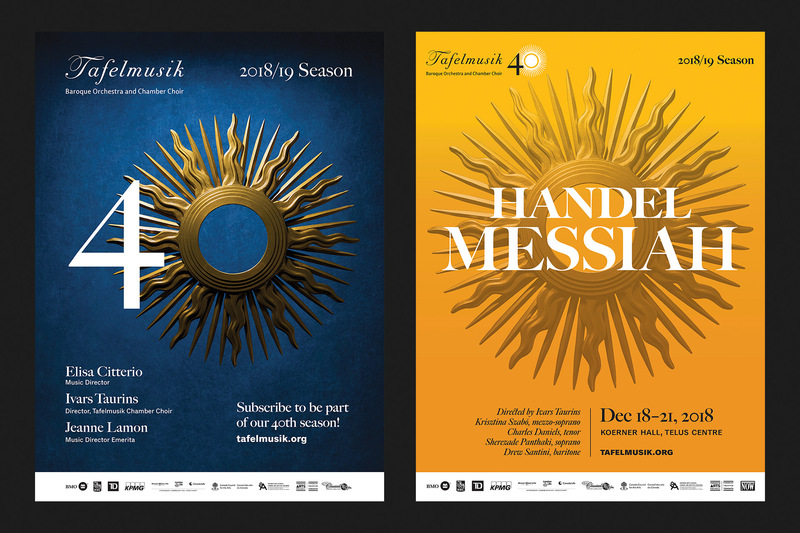 Messiah, Sing-Along Messiah, A Joyous Welcome, and Haus Musik images by Jeff Higgins. 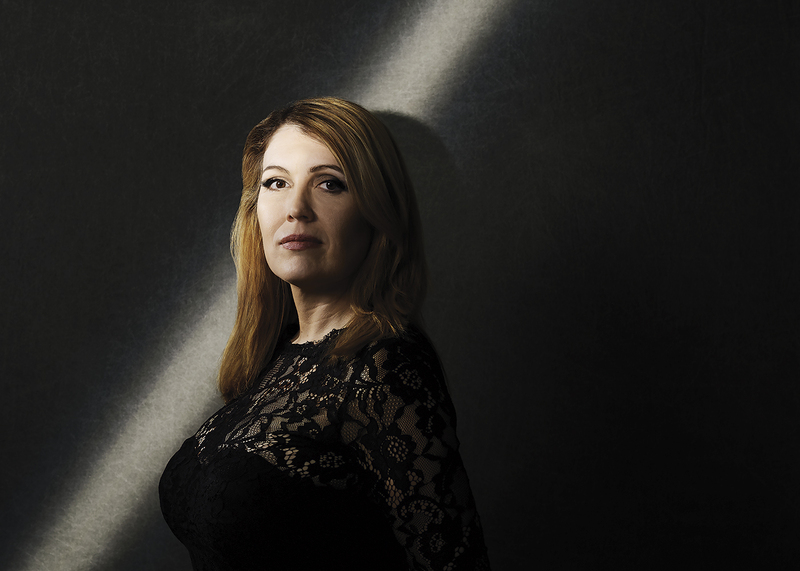 Elisa Citterio headshot by Monica Cordiviola. 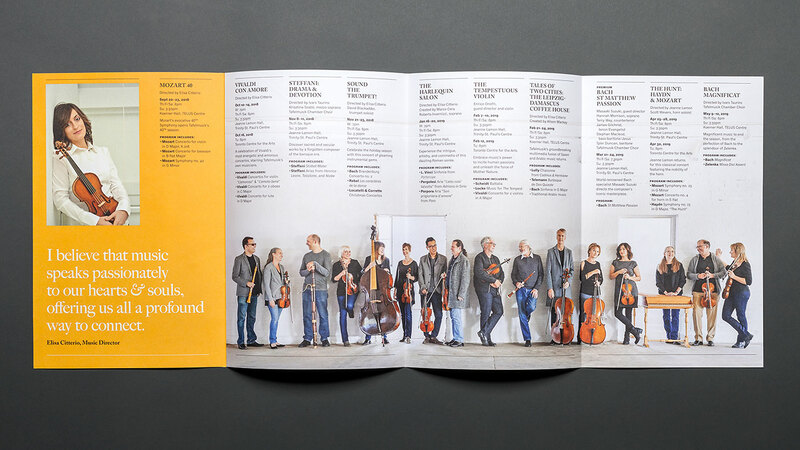 Masaaki Suzuki image by Ronald Knapp. 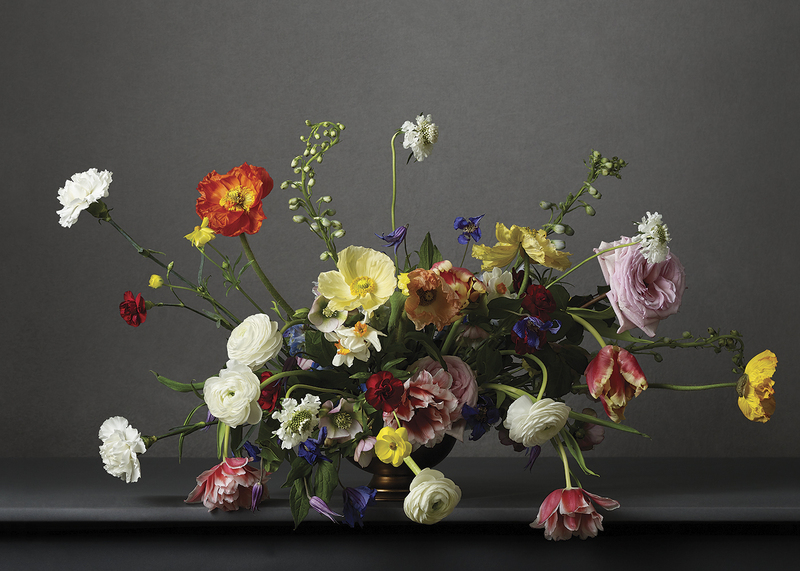 Harlequin mask by Pirate Atelier of Montreal, baroque flower arrangement and crown of thorns by Coyote Flowers, monogram sculpture by Andrei Casserly—A Casserly Interiors.